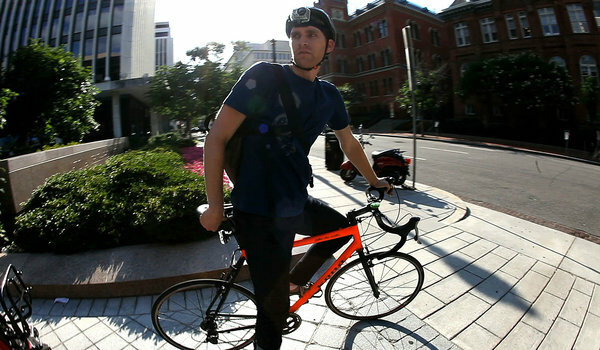 Evan Wilder, who commutes to his job in Washington, was hit by a driver who cursed at him. But the video camera Mr. Wilder had strapped to his head caught the whole episode. After watching a recording of the incident later, Mr. Wilder gave the license plate number to the police and a suspect was eventually charged with leaving the scene of an collision. The District of Columbia’s office of the attorney general charged the motorist, John W. Diehl, with leaving the scene of an collision. Federal prosecutors, who handle felony cases in the district, are also looking into the case.